Cayo top cop faces transfer! After taking much heat from the public at large, and the residents of the Old Capital in particular, in the wake of the apparently uncontrollable crime wave that seems to have gripped the city and nation, culminating in the murder and mystery death last weekend of two top city dons, and the investigation by police of one of their own in the brutal murder of a city resident (shot 21 times), one would think that the Police Minister and the department’s top brass would welcome an opportunity to regain the confidence lost by citizens simply tired of crime, violence and an apparently corrupt and untrustworthy Police Department. Information to Amandala is that the crime situation in the Cayo District has been escalating, and reports are that citizens of the area, especially the twin towns of Santa Elena and San Ignacio, have lately opined that crime and official corruption in the areas, if unchecked, will soon approach Belize City levels. The Twin Town’s top cop is Senior Superintendent Alvan Gentle, and residents say he has been doing a good job. Well, it appears he may have been doing “too good a job,” because credible reports are that he is going to be removed from his post. According to the coalition, Sr. Supt. Gentle himself has declared that he has turned a deaf ear “to political meddling from politicians” in the execution of his duties, and the more honest citizens of the area have applauded and supported his efforts. San Ignacio Police confirmed to us this morning that Sr. Supt. Gentle is currently out on 30 days’ sick leave, but remains in charge, with an inspector as second-in-command. But if the senior command in Belmopan have their way, Sr. Supt. Gentle’s 4-month stay in Cayo will come to an end. Earlier this week, Minister of National Security John Saldivar was asked publicly to explain what was behind the planned transfer. But that explanation doesn’t seem to wash with Cayo residents. 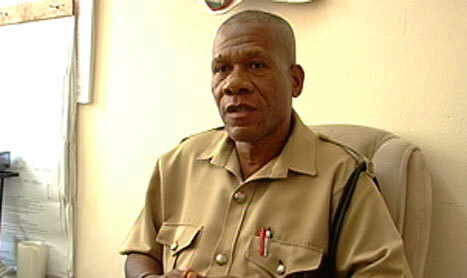 The People’s Coalition of Cayo described the senior policeman as “very effective” in his command, citing “policies of zero tolerance on crime and corruption, enforcement of all the laws equally and equitably, his endorsement and implementation of the ‘Broken Windows Theory’, mobilization of community policing and neighborhood watch committees, and his direction and discipline of his officers” as the reason for a decrease in crime in the area. Another reason the Coalition stands opposed is what it calls “instability and inconsistency” in the high command, which has seen, by its count, six officers in charge in the last five years. The senior officer insists that no one is above any law that the Department enforces. And that, it seems, does not sit well with the Police Minister and his department’s high command.